This May 24, 2009 photo shows the sign for a Wells Fargo bank in Woodbury, Minn.
Wells Fargo & Co. will pay US$1-billion to federal regulators to settle charges tied to its mortgage- and auto-lending business, the latest chapter in a years-long, wide-ranging scandal at the banking giant. However, it appears that none of the money will go directly to the victims of the bank’s abuses. In a settlement announced Friday, Wells Fargo will pay US$500-million to the Office of the Comptroller of the Currency (OCC), its main national bank regulator, as well as a net US$500-million to the Consumer Financial Protection Bureau (CFPB). The action by the CFPB is notable because it is the first penalty imposed by the bureau under Mick Mulvaney, who U.S. President Donald Trump appointed to take over the consumer watchdog agency in late November. The US$500-million is also the largest penalty imposed by the CFPB in its history, the previous being a US$100-million penalty, also against Wells Fargo, and matches the largest fine ever handed out by the Comptroller of the Currency, which fined HSBC US$500-million in 2012. The fine against San Francisco-based Wells Fargo had been expected. The company disclosed last week that it was in discussions with federal authorities over a possible settlement related to its mortgage- and auto-lending businesses, and that the fine could be as much as US$1-billion. The settlement also contains other requirements that would restrict Wells Fargo’s business. The bank will need to come up with a risk-management plan to be approved by bank regulators, and get approval from bank regulators before hiring senior employees. The US$500-million paid to the Comptroller of the Currency will be paid directly to the U.S. Treasury, according to the order. The US$500-million paid to the CFPB will go into the CFPB’s civil penalties fund, which is used to help consumers who might have been affected in other cases. But zero dollars of either penalty is going directly to Wells Fargo’s victims. The bank has already been reimbursing customers in its auto and mortgage businesses for these abuses. Wells Fargo has been refunding auto-loan customers since July and been mailing refund cheques to affected mortgage customers since December. On Friday, Wells Fargo adjusted its previously reported first-quarter earnings to reflect the penalty. The third-largest U.S. bank now says it made US$4.7-billion in the first 90 days of the year, down from US$5.46-billion in the same period a year earlier. While banks have benefited from looser regulations and lower taxes under the Trump, administration, Wells Fargo has been called out specifically by Mr. Trump as a bank that needed to be punished for its bad behaviour. “Fines and penalties against Wells Fargo Bank for their bad acts against their customers and others will not be dropped, as has incorrectly been reported, but will be pursued and, if anything, substantially increased. I will cut Regs but make penalties severe when caught cheating!,” Mr. Trump wrote on Twitter back in December. 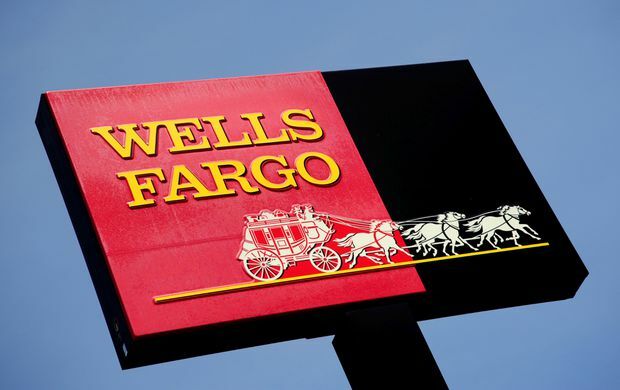 The abuses being addressed Friday are not tied directly to Wells Fargo’s well-known sales practices scandal, in which the bank admitted its employees opened as many as 3.5 million bank and credit-card accounts without getting customers’ authorization. But they do involve significant parts of the bank’s businesses: auto and mortgage lending. Last summer Wells Fargo admitted that hundreds of thousands of its auto-loan customers had been sold auto insurance that they did not want or need. In thousands of cases, customers who could not afford the combined auto loan and extra insurance payment fell behind on their payments and had their cars repossessed. In a separate case, Wells Fargo also admitted that thousands of customers had to pay unnecessary fees in order to lock in their interest rates on home mortgages. Wells Fargo is the largest mortgage lender in the United States. This settlement does not involve Wells Fargo’s wealth-management business, which is reportedly under investigation for improprieties similar to those that affected its consumer bank. Nor does this involve an investigation into the bank’s currency-trading business. “Today’s billion-dollar fine is an important development and a fitting penalty given the severity of Wells Fargo’s fraudulent and abusive practices,” said Pamela Banks, senior policy counsel for Consumers Union.